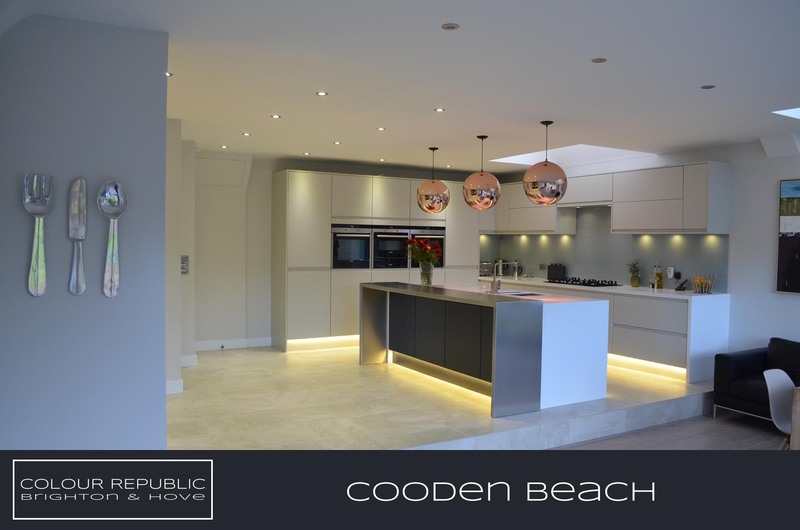 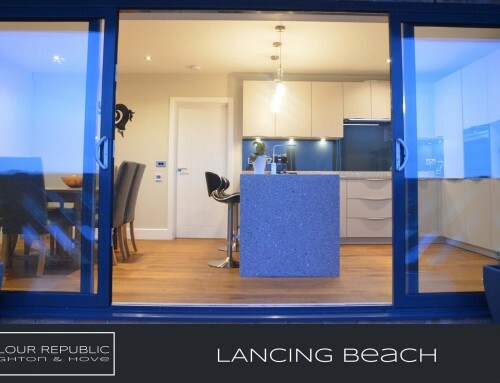 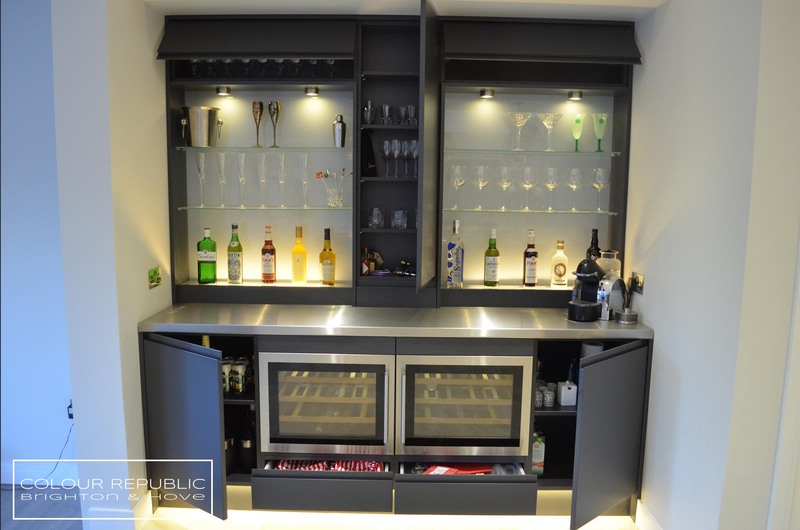 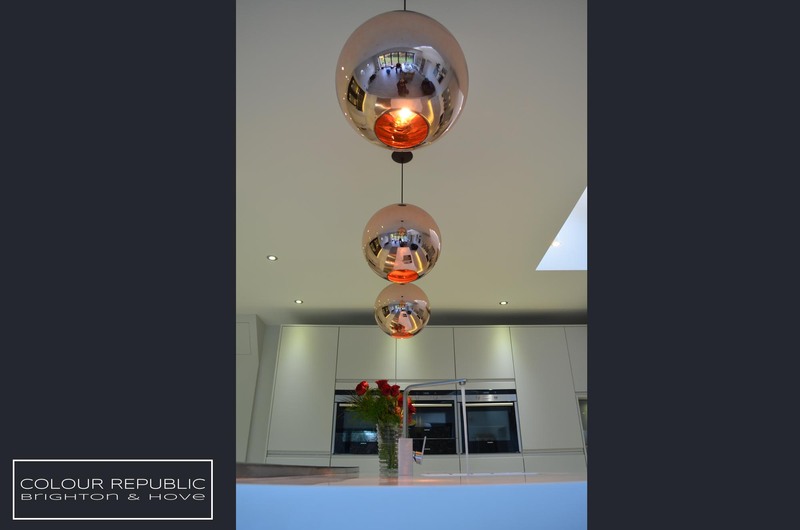 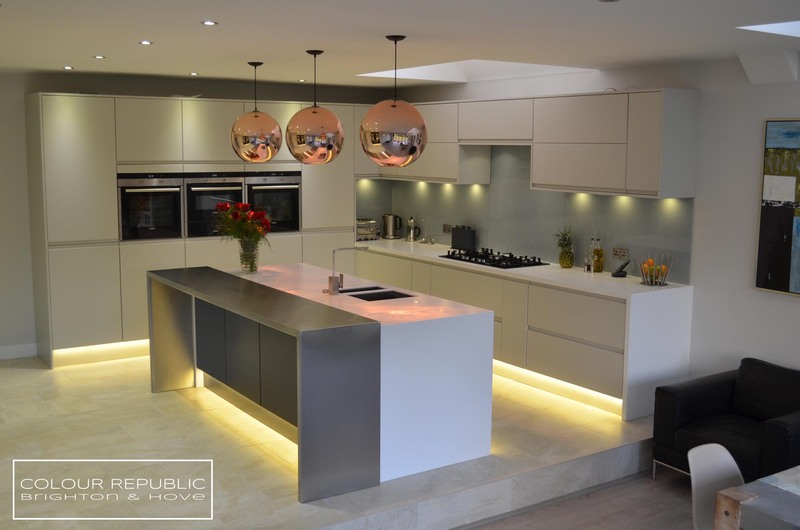 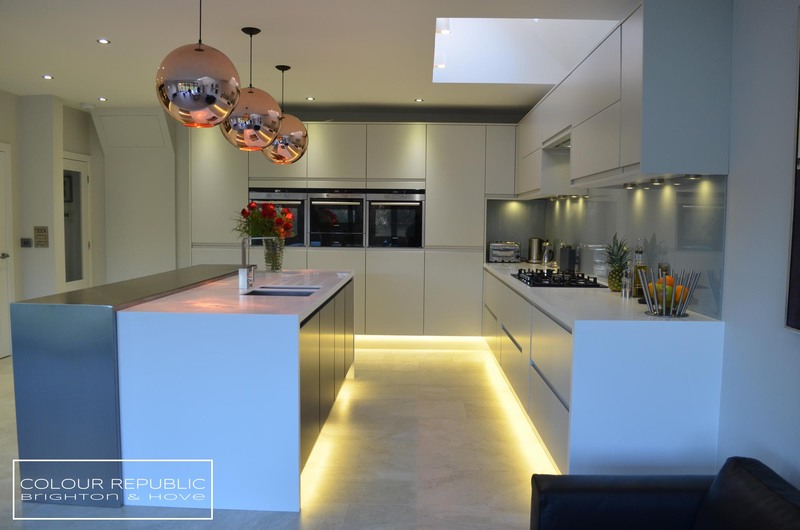 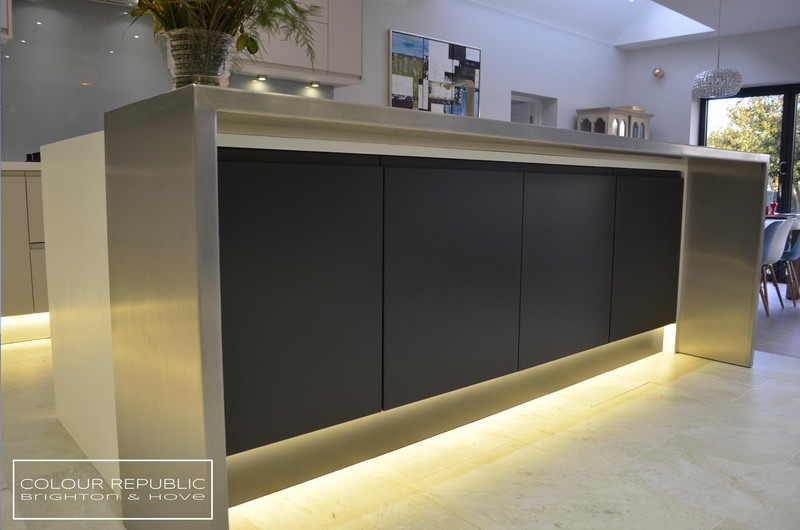 Complete design and installation of a kitchen diner for our clients in Cooden Beach who had extensively extend the property to provide a new central hub of the home..
All fixtures, fittings and finishes were designed, sourced, supplied and installed by Colour Republic providing a turnkey service. 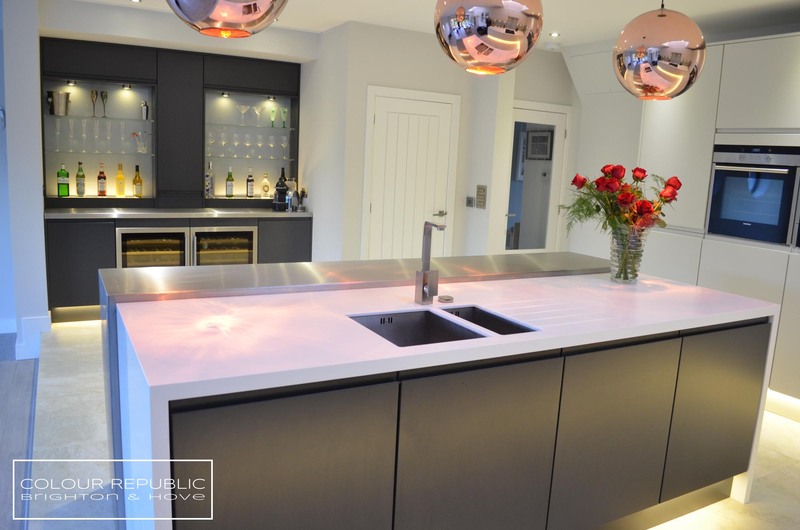 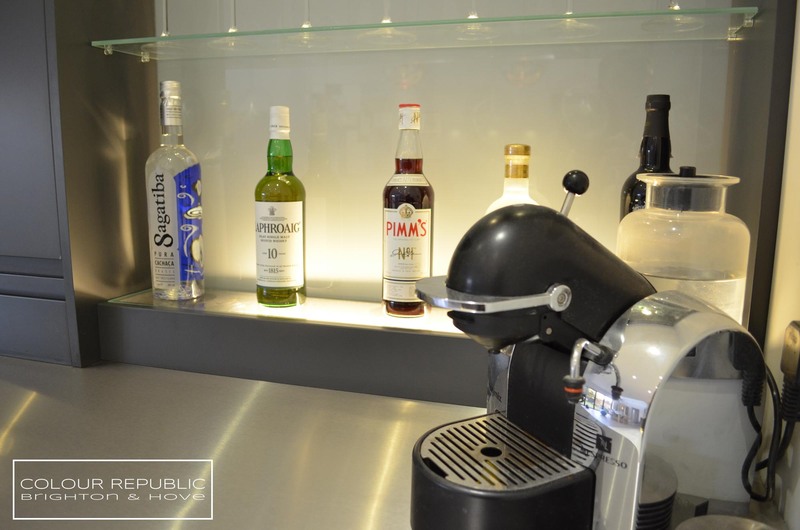 A mixture of Corian and stainless steel work surfaces. 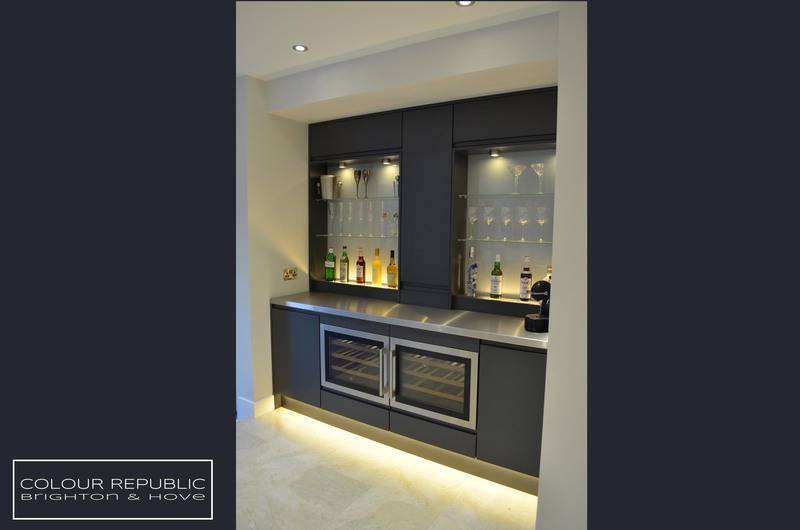 Glass splashbacks back lit with LED’s. 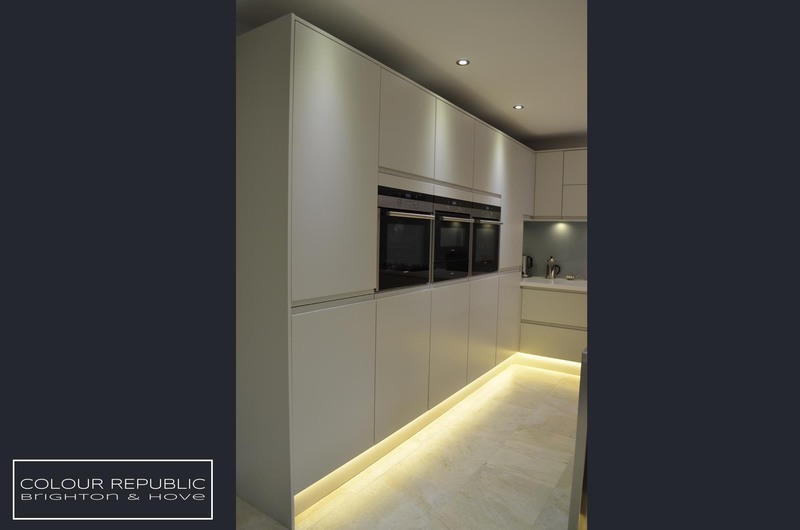 Handleless Kitchen design with Italian doors. 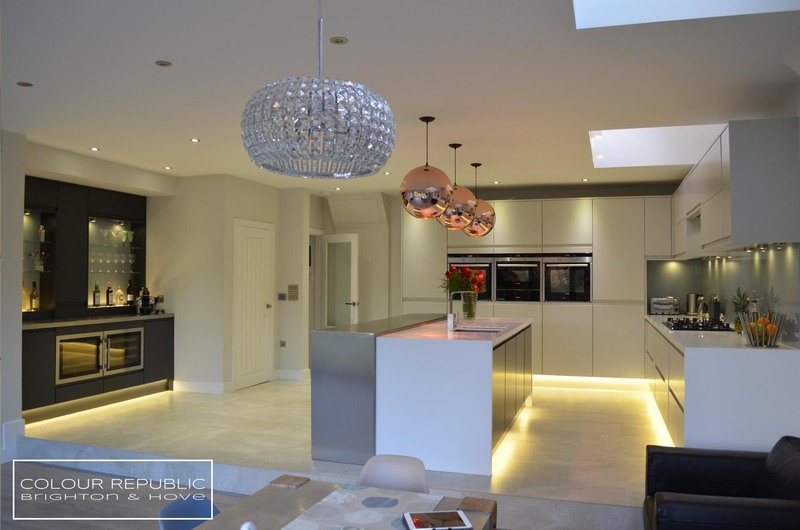 Large format Porcelanosa tiled floor.